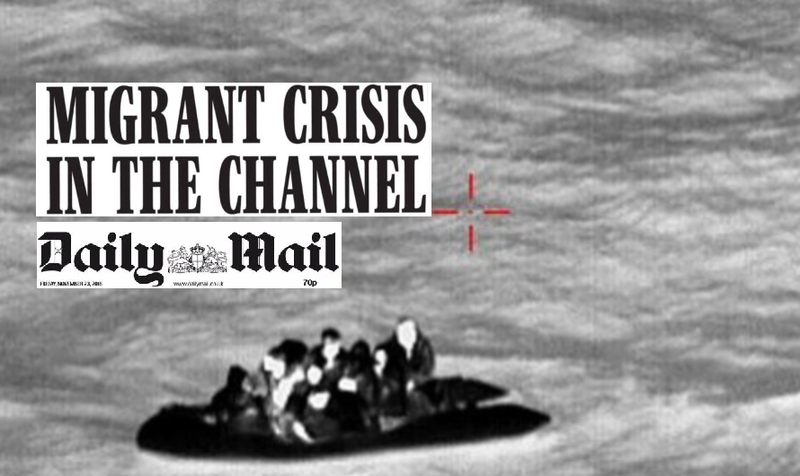 The pending no-deal Brexit seems to have worried migrants wanting to get into the UK as the French coast guard this week admitted that the number of illegal immigrants trying to cross the English Channel in dangerously small rubber boats has increased worryingly. The French coast guard is worried that soon they will be fishing corpses from the sea instead. Eighteen immigrants were rescued in the night from Wednesday on Thursday near Cap Gris-Nez when they wanted to cross the English Channel with two small boats. Related coverage: <a href="https://thegoldwater.com/news/42644-Brexit-PM-May-Ordered-To-Stand-Up-To-Brussels-Bullies">Brexit – PM May Ordered To ‘Stand Up To Brussels Bullies’</a>. The maritime authorities of France report a worrying increase. Six men and one woman were on one boat, another eleven migrants on another boat. Some of them were hypothermic and had to be taken to the hospital. Ever since the upcoming Brexit negotiations have been front and centre in the British news as of late again, authorities have seen a significant rise in such attempts. As from March of next year, if no Brexit deal would be struck, the UK would normally close its borders for illegal immigrants and the many waiting on French shores to get to England are keen on leaving before winter sets in. In 2016 the French coast guard intercepted 23 improvised attempts to cross the English channel with small boats. In 2017 that figure fell to thirteen. "With the two rescue operations of last night, we are already working on thirty attempts, since October even seventeen," says Captain Ingrid Parrot of the French coast guard. About ten days ago, seventeen migrants crossed the Channel with a stolen fishing boat from Boulogne-sur-Mer. “Luckily we have not found bodies on the beach,” says the French coast guard captain, "we want to avoid that at all costs." Why help them at all? I’m with Tab on this one, it’s not everyday that the marine life gets a warm meal. I’m pretty sure someone in France knows how the currents work and can pop the raft in an area that has minimal chance of washing up on French beaches. An air gun would be great for the popping from a short distance. The french’a’cucks prolly already banned air guns back when they banned butter knives.